It can prevent certain types of cancer. There have been several studies conducted on tomatoes that showed that the high amounts of lycopene present in the vegetable can help provide protection against several types of cancer such as colorectal, prostate, and stomach cancers. Lycopene is actually a type of antioxidant that can inhibit the growth of cancer cells in the body. It can boost one’s digestion. Eating tomatoes has been found to be effective in improving the function of both the liver and the rest of the digestive system. This vegetable can prevent constipation from occurring as your bowels will be working properly in eliminating wastes. It’s actually good for the heart. Another health benefit that is linked to tomatoes is that it can be quite friendly to one’s heart health. This is because tomatoes contain potassium and vitamin B which are useful when it comes to reducing one’s cholesterol levels and blood pressure. This means that if you add this vegetable in your diet and consume it regularly, you will be able to prevent heart problems from occurring. It can stop gall and kidney stones from forming. Tomatoes are natural disinfectants which mean that they can help prevent you from having diarrhea while at the same time, inhibit stones from forming in your gall bladder and kidney. Eating this vegetable can also reduce your risk of suffering from urinary tract infections. It is good for your eyes. Your eyes will need all the help they can get when it comes to preventing degenerative diseases from destroying your ability to see. If you want to prolong your eyes’ health, you should add tomatoes to your diet because they have high amounts of vitamin A which can prevent eye problems from occurring. Eating tomatoes daily is one of the surest ways to give your immune system the boost it needs to fight against common ailments like colds, cough, fever, and flu just to name a few. The vitamin C present in tomatoes can reduce your stress levels which in turn lowers your risk of compromising your overall health. 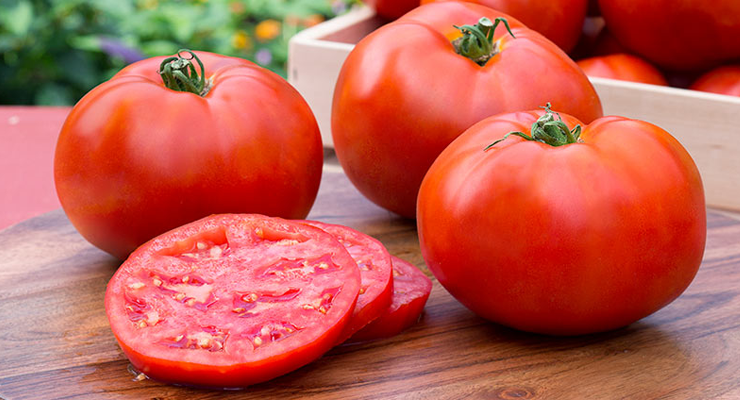 Regardless of whether you will be making some tomato juice or adding tomatoes to your sandwiches or salads, you can reap quite a lot of benefits from this vegetable.